In a pleasant surprise to fitted collectors (who also happen to be San Diego or football fans), the San Diego Fleet now have their own 59Fifty model available. While this cap may appear gray to the layperson, I believe it better described as graphite or steel gray since “gray” caps are generally a lighter gray (ask @padresnohitter about that). 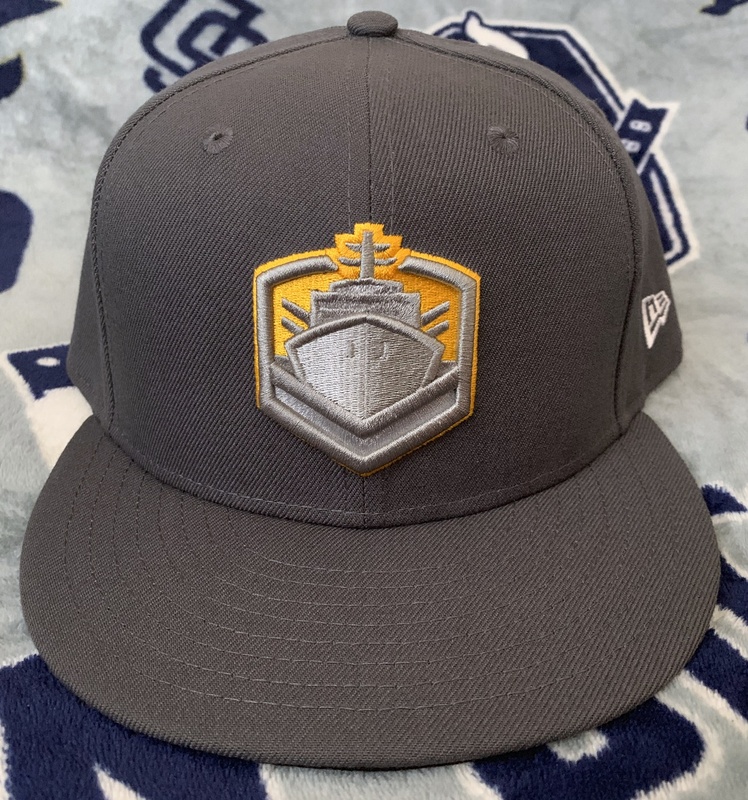 The darker gray matches what the team wears on the field and is meant to represent the steel gray of the battleships that make San Diego their home harbor. The logo looks superb in embroidery. If you look closely you can see a darker graphite stitching used on the port bow (boat left, right facing here) of the ship in order to mimic shadowing; a very nice touch that adds visual depth. The use of athletic gold here makes for a great visual pop. At the rear of the cap is the San Diego Fleet wordmark. The underbrim and sweatband are both black. There are two current versions of the Fleet cap; my example can be found at Billion Creation and has been selling very quickly. Another version was released about a week later via Hat Club but featured the AAF logo on the rear rather than the Fleet wordmark; this version sold out quickly.